Last night was the beginning of the end for this season of Top Chef. Last night was the beginning of the end for this season of Top Chef. For their final Quickfire Challenge in New Orleans, Gail Simmons and Tom Colicchio presented the cheftestants with a two-parter. First, Gail instructed them to make a perfect bite, something balanced and flavorful. The two chefs that came out on top were then challenged by Tom to make something that featured either a bell pepper or an eggplant. The winning chef received not immunity, but a brand new Toyota Corolla. It’s no guaranteed spot in the finale, but a guaranteed spot in the finale can't get your kid to school in the morning. For the last New Orleans Elimination Challenge, the chefs were asked to create a new dish that encapsulated their experience in The Big Easy. But first: a trip to Emeril’s, where the chefs were treated to a feast prepared by Mr. Lagasse himself. There’s nothing like a superrich meal and many glasses of wine to prepare you for a stressful competition the next day. While all four chefs cooked their hardest and prepared dishes that guest judges Doug Keane, Andrew Carmellini and F&W Chef-in-Residence Grant Achatz loved, someone was, of course, sent home. 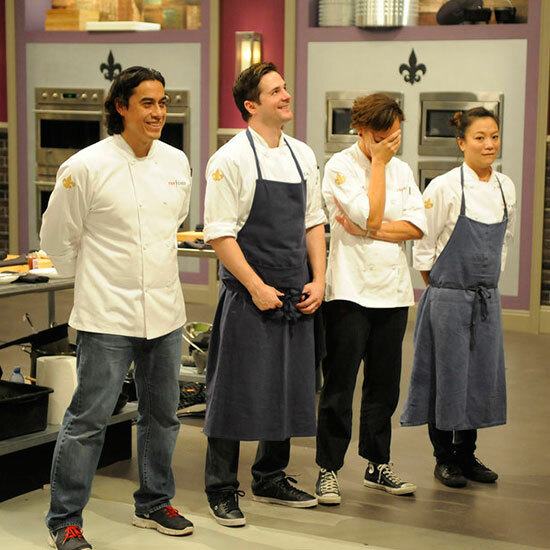 Will that chef win Last Chance Kitchen and return for the finale? From the annoyed looks on the faces of the chefs in the preview of next week’s episode, our guess is yes. Then again, that could be the magic of editing. For those playing F&W’s Fantasy Top Chef, here are the points earned and lost by chefs last night. Keep up to date on the current standings with F&W’s updated roster.